Not a Newcomer to the Industry! Urbana, Iowa was the place and 1982 was the time. 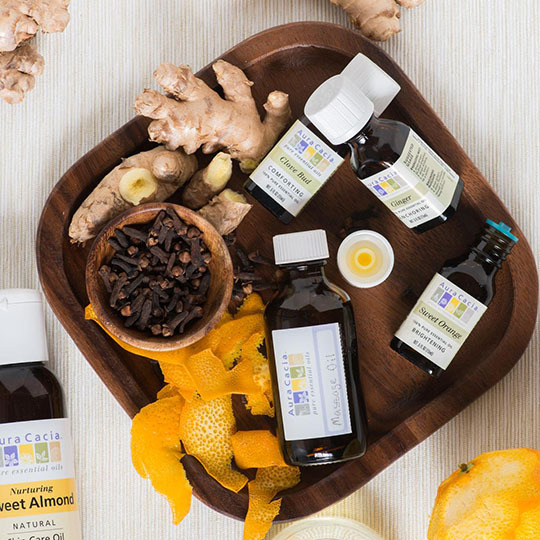 The Essential Oil Company Aura Cacia was begun to provide natural and organic personal care products. They believed in using only 100% pure essential oils in their products, and the Natural Products Industry took notice. 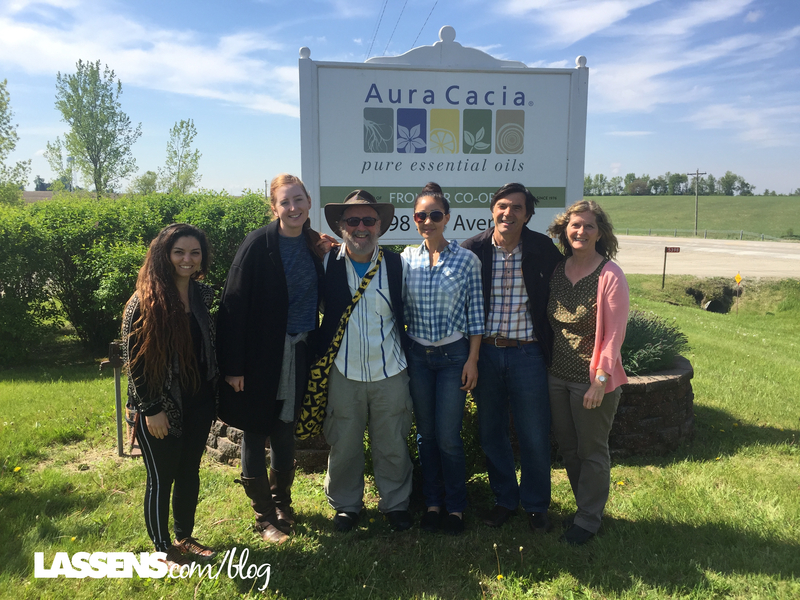 After several years of producing and selling their practical and beneficial products, Aura Cacia was purchased by the Frontier Natural Products Co-op, which was established in 1976 in nearby Norway, Iowa. The Co-op now includes the Simply Organic brand, introduced in the 2000s. This is just the background to the amazing Aura Cacia brand of Essential Oils. 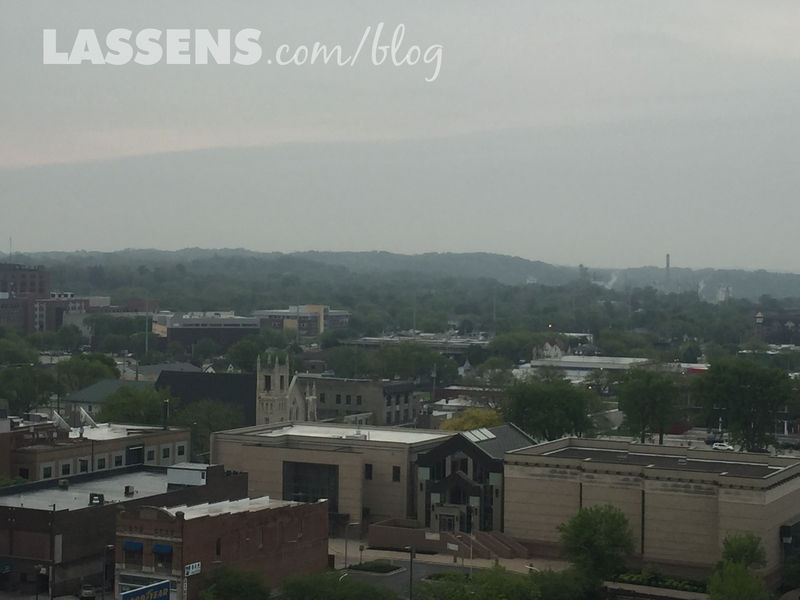 Some of the Lassen’s team traveled to Iowa to visit the Aura Cacia operation. We were all impressed by the research and testing that goes into every bottle of their essential oils. They are careful to make sure that every herb is exactly what it says it is. Essential Oils have been surging in popularity for a couple of years. But they are nothing new to Lassen’s and Aura Cacia. You may be wondering what all the fuss is about. Well, here’s a bit of a tutorial on the subject! Essential oil is the aromatic substance found within plants. They can be extracted from various parts of the plant, and each has its own characteristics. Leaves, roots, bark, seeds, flower, resin, or branch — the oils are extracted in one of several methods, including steam distillation, solvent extraction, and cold-pressed expression. Most essential oils are extracted by steam distillation, but some herbs are better suited to the other methods. Aura Cacia sources their herbs from reliable farmers and foragers from around the world. They work to establish trusting relationships with the farmers and foragers, and make sure that they are receiving a fair price for their products. When the raw materials arrive in Iowa, the scientists at Aura Cacia go to work verifying that the materials are what they are supposed to be. They literally put them under the microscope! We took turns looking into the microscope so that we could see the difference between the various Lavender varieties, each of which have different properties, scents, and uses. If you would like to learn more basics about Essential Oils, check out this page from the Aura Cacia website. You can buy blends of essential oils, but it’s really fun to blend your own! We got the chance to make our own blends, and I have enjoyed my blend of Lime and Jasmine! I used some Argon Oil as my carrier oil, and then added a few drops of each of my chosen essential oils in my small roller bottle (available at Lassen’s!) I love the scent, and it really gives my mood a boost! Aura Cacia is a brand that has proven itself to be a quality leader in the industry. You can trust their quality and their integrity, from the raw material through the entire manufacturing process and into your shopping cart. For decades Lassen’s has been a proud supporter of quality producers like Aura Cacia. 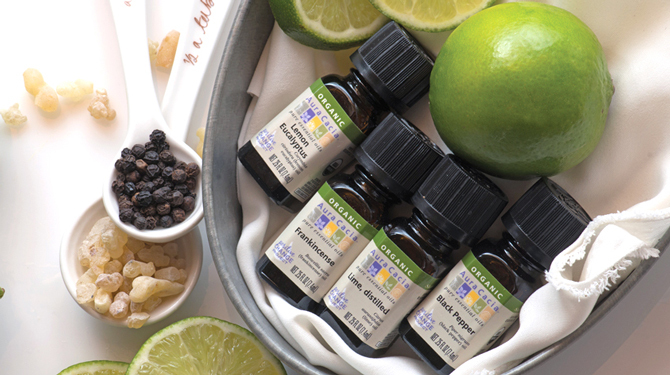 Now’s a great time to pick up some Essential Oils — Prepare for your holiday gift giving and make some Aromatic DIY Gifts! Click here for some recipes on the Aura Cacia website. And feel free to dig around the lassens.com/blog archives for DIY recipes (just type DIY into the search bar, and several posts will come up!) Here’s one post on Salt and Sugar Scrubs that make wonderful year-round gifts! If you haven’t tried using Essential Oils, give them a try!